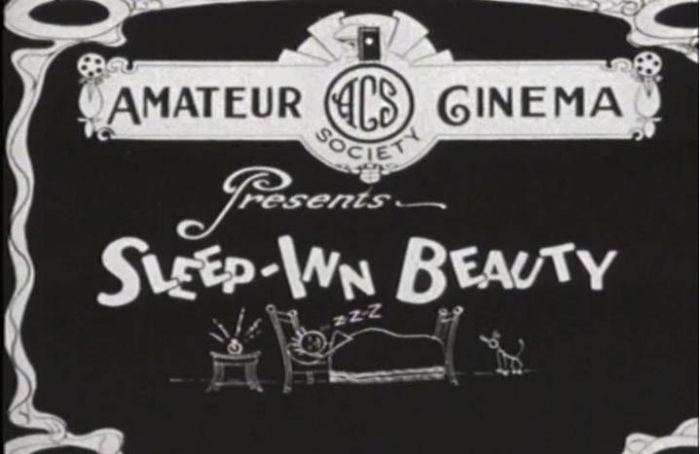 Title still from Sleep-Inn Beauty via the Women Film Pioneers Project. Learn more about the film at Ladylumberjack.ca, a website devoted to Dorothea Mitchell and the Port Arthur Amateur Cinema Society. Movie Makers, May 1930, 285. The film is available in the DVD collection The Port Arthur Cinema Society Collection (Sheba Films, Canada, 2005). The original 16mm film is held by Library and Archives Canada.